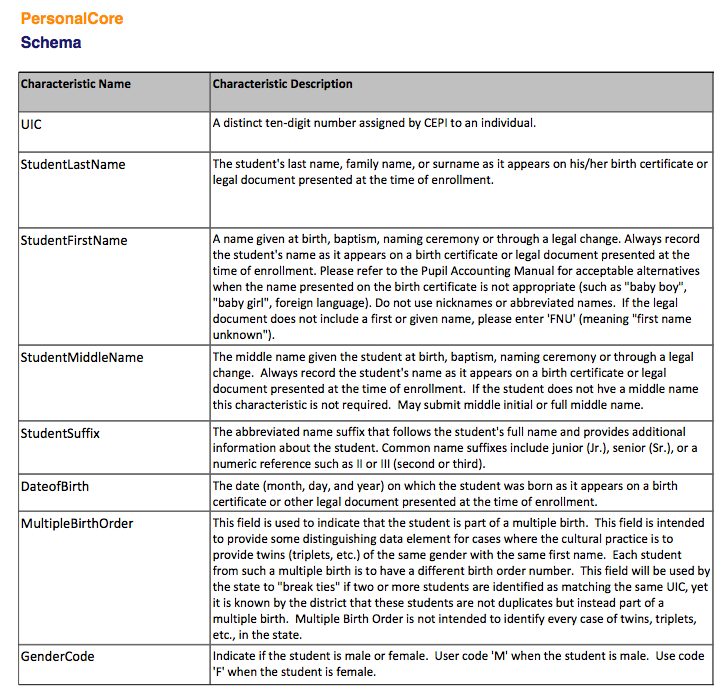 This lesson serves as a guide to the Personal Core Component of the Michigan Student Data System submission. The UIC is drawn from the "SSID" field under the Students Tab-> Demographic Details link. The Student Last Name is drawn from the "SSID" field under the Students Tab-> Demographic Details link. The Student First Name is drawn from the "SSID" field under the Students Tab-> Demographic Details link. The Student Middle Name is drawn from the "SSID" field under the Students Tab-> Demographic Details link. The Student Suffix is drawn from the "SSID" field under the Students Tab-> Demographic Details link. The Student Date of Birth is drawn from the "SSID" field under the Students Tab-> Demographic Details link. The Multiple Birth Order characteristic is drawn from the "SSID" field under the Students Tab-> Demographic Details link. 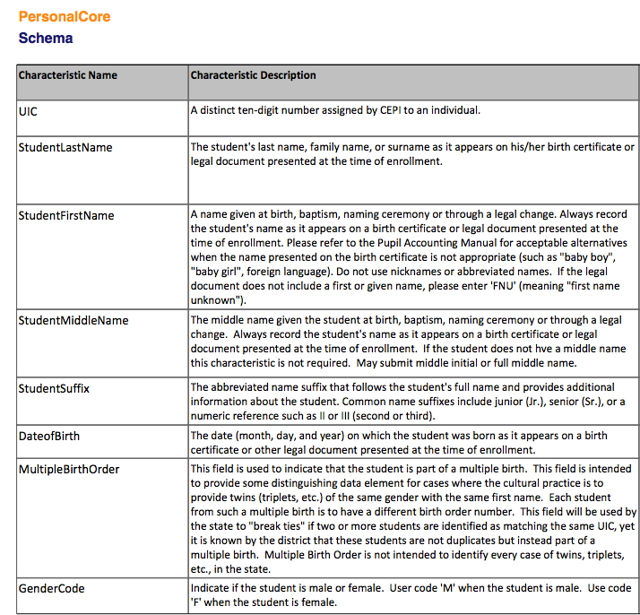 The Gender Code characteristic is drawn from the "SSID" field under the Students Tab-> Demographic Details link.